Raffle closed an paypal invoices sent! Thanks everyone for participating in the Bouquet's of Resin Raffle! We hope you love your keycaps! Bouquet's Of Resin is the newest sale from Just Another Keymaker and features a return of our first sale cap, the Keymaker Rose. Rose v2 is a cleaner rose sculpt built up around Cherry R1 profile. 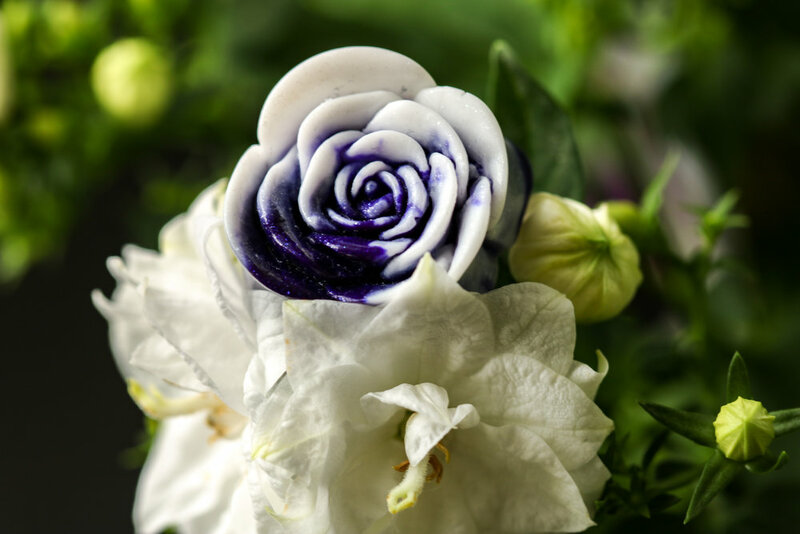 Bouquet's Of Resin is the best opportunity to get that special someone, your keyboard, a beautiful rose to show them how much you care. Bouquet's Of Resin will begin Thursday, 2/8, and run for three days. Roses will be put up in the general store listed at $300 at the time specified on this page. On each Rose item page there will be a form that will take entries for 15 minutes. Within 15 minutes of the forms closure, codes will go out to the randomly selected winners. These codes reduce the price of the Rose to the retail value of $45. Codes will expire after two hours from issuance. Make sure to check your spam folders to ensure you do not lose out on your opportunity! All Roses come with a nifty Rose sticker included! 15 minute raffle format! - Unpurchased Roses up for retail price now! What email are codes sent from? Codes are sent from RocketGruntJake@keymaker.space, adding this address as a contact may ensure your code does not get redirected to your spam folder. Can I purchase a key at the full listed price? How many of each colorway are available? Each colorway has approximately 5-15 caps available. This is a result of how many of the caps we cast in each batch were free of any defects. What happens to any unclaimed caps? Unclaimed caps will have their listed price reduced to retail at an unspecified time after the codes are cancelled. These will then be available on a FCFS basis to whoever notices first and be entirely unannounced because I said so.